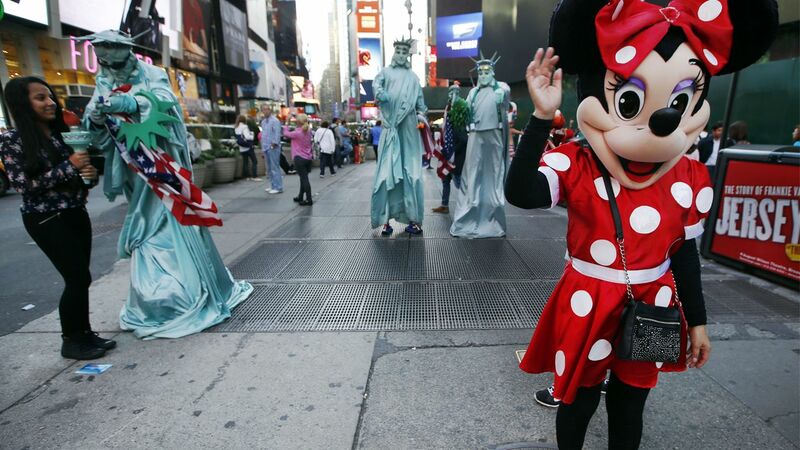 TIMES SQUARE, Manhattan (WABC) -- A woman dressed as Minnie Mouse was arrested for harassing a family of tourists for a $20 tip. Reyna Perez, 32, of Passaic, N.J., dressed as Minnie Mouse, posed for the picture at West 46th Street and Broadway at about 5 p.m. Wednesday. The tourist, who was with her two children, gave her a tip, but police said Perez wanted more. "I need $20," Minnie said. The mother found a nearby police officer and Perez was taken into custody. Perez is charged with harassment.